Although funding is always a hindrance, Fiji Ports Corporation Limited is do­ing its best to ensure that derelict vessels are removed from the har­bour especially the old abandoned wreckages, so says acting chief operating officer Captain Laisiasa Gonewai. Captain Gonewai was yesterday commenting on the nine vessels now submerged in the Suva habour with no confirmation as when they would be removed. FPCL chief executive officer Vajira Piyasena in his submissions to the Parliamentary Standing Committee on Social Affairs last month, had said that the removal operation for the Southern Phoenix was expected to commence in August. The nine derelict vessels include Tukanatuku, Degei II, Western Pacific, Tug 7, Shan Yu 16, Victory II, Barge Dautukiduru, Sun Star and Lady Geraldine. “Under the Sea Port Management Act 2005, removal of any derelict vessels is the responsibility of the owner,” Captain Gonewai said. “FPCL is only responsible for noti­fying the owners through issuing of Removal Order and to oversee how the removal operation is carried out,” he said. MSAF issues the Scuttling Permit and other scuttling requirements for the removal operation. 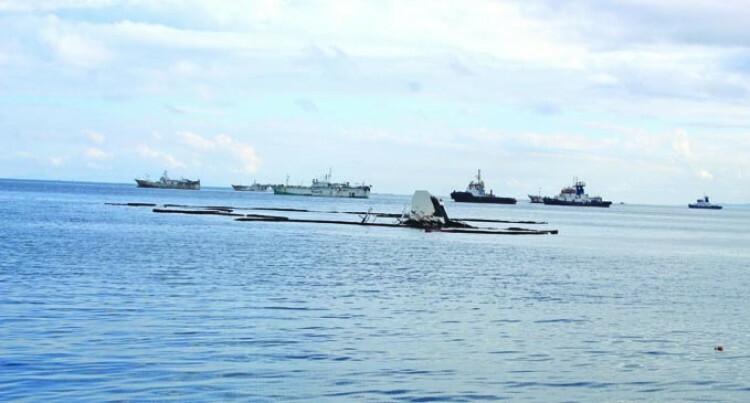 According to Captain Gonewai FPCL sees this as an ideal opportu­nity to use the same salvage compa­ny to remove other derelict vessels as bringing the machines over to our shore is an expensive exercise. He said under the Sea Port Management Act of 2005 the salvage of the twenty vessels at the Suva and Lautoka harbours was the respon­sibility of the Fiji Ports and vessel owners. “Talks are already in progress for the removal of these derelict ves­sels,” he said. Over 2015 to 2016 the only two der­elict vessels removed from the Suva Harbour at a total cost of $305,000 were MV Tovuto and MV Sea Love.